Our creative arts majors experience an immersive learning environment where they explore, analyze, and engage the diverse world of art. 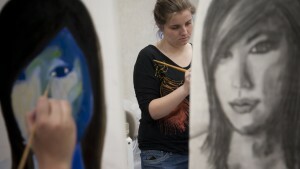 Your creativity will be met with high levels of experimentation, self-reflection, and critical inquiry as you explore specializations in art therapy & wellness, or museum & gallery professions. You will receive the necessary professional and educational readiness for any number of fulfilling careers in the cultural arts or for graduate school. 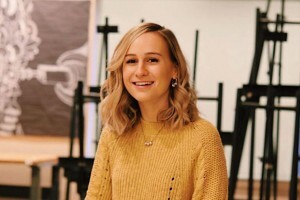 Emphasizing gallery and museum training—alongside innovative studio work—we provide a dynamic learning experience that includes internships, travel, visiting artists, and numerous opportunities for exhibition in our campus gallery spaces. If you have interests in other majors, yet personal creativity remains central to your life, our major is perfect for you. 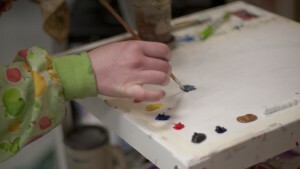 For those seeking that all-important ‘creative edge’ so many professions now seek, our program is designed for you. Our flexible program makes it possible to complete a double major with ease. 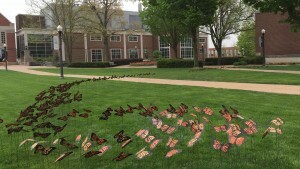 Creative art students pursue ambitious projects within the creative industries. 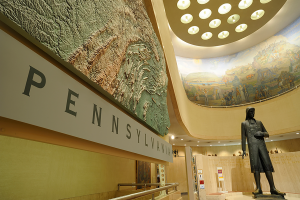 As a student, you can expect to experience gallery internships, museum internships, public arts, student-faculty collaboration, arts publishing, exhibition curation, arts management, art therapy, and study abroad. 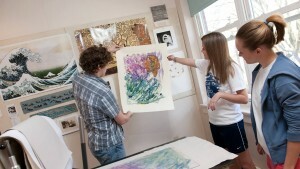 Whether you seek to analyze, exhibit, or make art, you will find state-of-the-art studio spaces at LVC, with studios dedicated to painting, drawing, sculpture, installation, ceramics, digital and darkroom photography, print-making, mixed media, and digital and film art. Our multiple exhibition spaces enable you to showcase your creative projects and curate themed exhibitions. My degree has proven invaluable in the development of my career as a museum curator. The Art Department gave me the broad range of knowledge and skills necessary to navigate the museum world. To this day, the faculty continues to mentor me professionally. 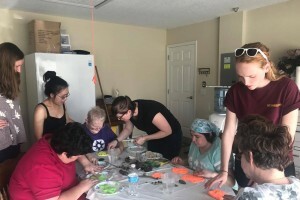 Art major Candy Heishman ’17 completes a successful art therapy project with developmental disable elderly on a service trip to St. Augustine, FL. 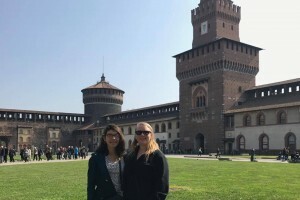 Art majors Sarah Johnson ’18 and Audrey Riley ’18 create a virtual exhibition and news releases for the Sorbello Foundation at Casa Museo in Perugia. Art minor Matthew Eshbach ’17 presents original research on Florence Cathedral at the 2017 Undergraduate Art History Research Symposium. 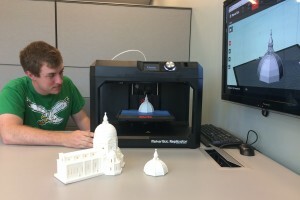 Matthew is pictured working with a 3-D printed model as part of his capstone Directed Research class. 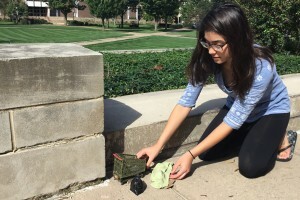 Art major Audrey Riley ’18 installing her ceramics sculpture from the “Small Dwellings Project.” Audrey’s public art explored the displacement of homeless individuals and challenged society’s attitude toward destitution.